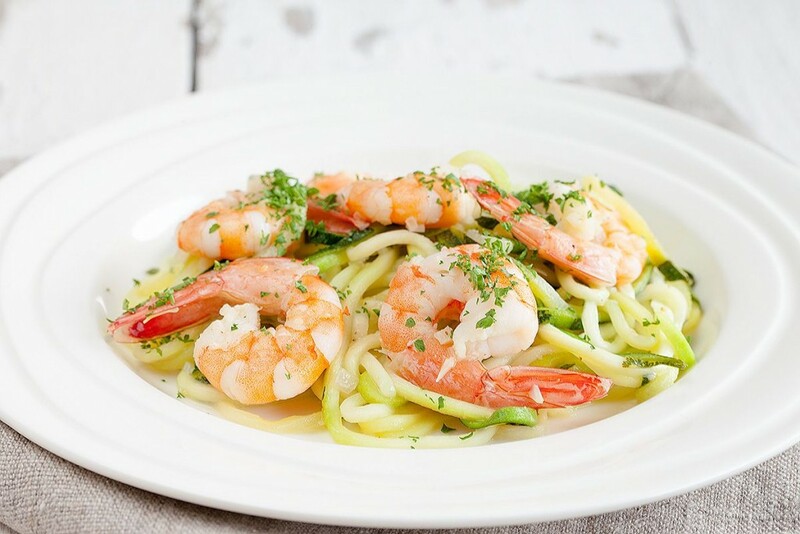 Easy and flavorful courgette spaghetti with shrimp and coconut. Also known as healthy noodles but loved by everyone. Ready in about 15 minutes.